Now, how many of you have heard of the luxury marque Borgward? 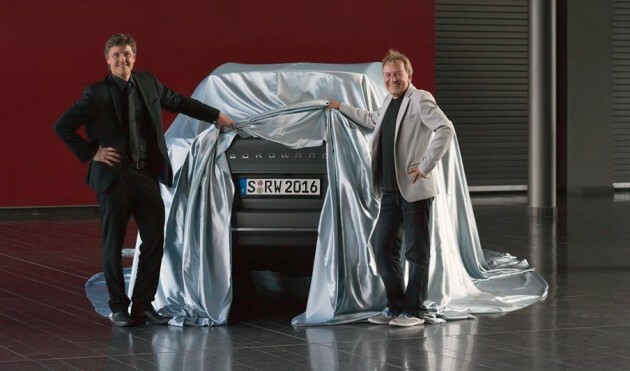 Well, for those Borgward aficionados out there, its first luxury SUV has been confirmed, and the company released a pair of teaser photos, the first one was a camouflaged ‘spy photo’ and the other a partial view of the SUV, with Borgward executives by its side. Word is that the company intends to launch its SUV with a plug-in hybrid system being the star of the show. The company intends to achieve a sales goal of 800,000 units per annum by 2020. More of the company’s plans should be revealed at this September’s Frankfurt Motor Show. 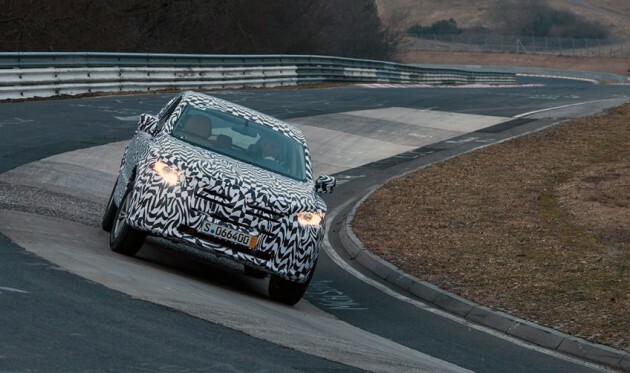 Borgward plans to make real inroads in the Chinese automotive marketplace through a collaboration with a local stalwart, Beiqi Foton Motor Company, in order to develop its new SUV and future vehicles in this particular region. To the naysayers, their goals and may seem like a pipe dream, but in their glory days, the brand did sell more than a million cars. It’s founder, Carl Borgward could perhaps be blamed for being to optimistic in his expansionary vision that ultimate led to the company’s demise back in 1961, but it’s good to know that they’re back for another shot at the big league. Check out the the Isabella Coupe designed by Borgward back in 1955, shown at the recent Geneva Show.